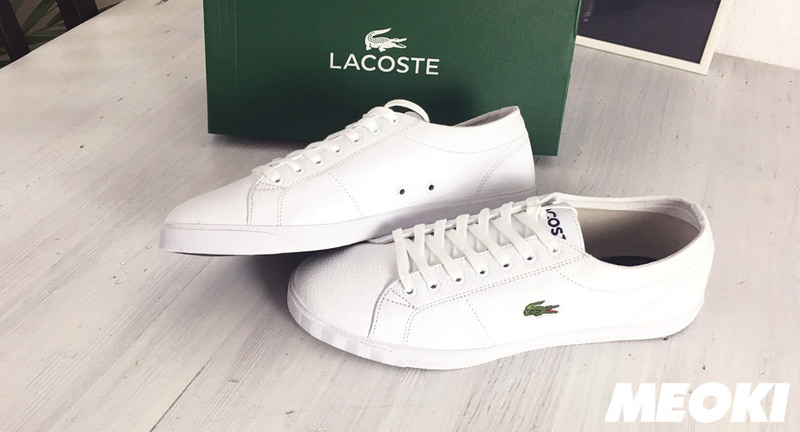 The Lacoste Riberac LCR3 Sneaker in White: Confident and versatile, the Riberac men’s shoe is a Lacoste classic. With embroidered croc logo, rubber sole and side eyelet venting. We found a great deal and bought this Lacoste shoes for 40 Euro in France – but the sneaker is also available at Amazon. Find more great fashion deals on our YouTube Channel.